Why Does Anyone Want To Go Ice Fishing? Abby's and Gerard's favorite was Rose In the Storm by Jon Katz. WOW! What a book! 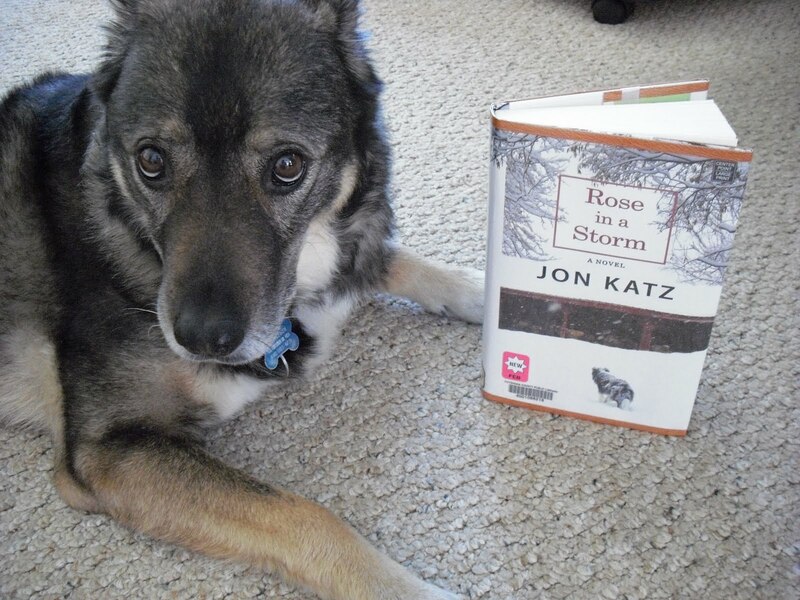 Rose in a Storm by Jon Katz is about Rose, a working dog on a farm and her owner, Sam. Rose has a lot of work to do as there are a lot of animals on the farm to look after. Rose tells the story which is very cool. One day a huge storm comes and Rose is put into a situation she has never been in before. I felt a lot of emotion while reading this book which to me says that is a really good book! Rose is a wonderful dog that the reader can't help but love. I think anyone would enjoy this book, especially dog lovers. The best part is that it has a good ending--the dog lives! I cried when I read Dewey, The Library Cat and cried at the end of this book too--yes, it's that good! Karen is going to read it as well. I picked this one as my favorite because it was so moving I cried but also really liked Left Neglected by Lisa Genova and Secrets To The Grave by Tami Hoag very much. Karen's favorite was Breaking Night although she also liked Left Neglected and Secrets To The Grave. It was a hard choice. WOW! What an interesting book filled with insight into poverty, homelessness and drug addiction! Breaking Night is the memoir of Liz Murray who shares about her life of living with her drug addicted parents, her effort to protect her parents who both contracted AIDS, living at a group home, her dependence on friends while homeless, her determination to go back to school and change her life. This is a very good book! It is so hard for me to fathom people actually living like she did. Breaking Night shows that a person can change in spite of one’s circumstances if they make good choices and work hard. It is about family relationships, forgiveness, friendship, judging by appearances, survival, overcoming obstacles and being responsible. Liz overcame many obstacles and found herself with a scholarship from The New York Times and was accepted at Harvard! She is now a motivational speaker helping others get their life on track and is now working with a small team of people to open Broome Street Academy, a high schools for homeless teens in September of 2011. Liz is a remarkable person! This is an inspirational book that I highly recommend! Her website is Manifest Living. I also enjoyed the movie on Lifetime that was based on this book. It was very hard to choose this month. 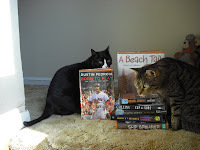 Both of us read several very good books and hope you will check out our book blog (tab is above to take you right there). While we were playing around when Karen was at the computer, she got that camera out and taped us so you could see how we entertain her. Since she got a new digital camera for Christmas, she found out it's easy to take video with her digital cameras and is even easier to upload it to the computer than with the flip camera. We really do like each other but we like to wrestling and boxing. 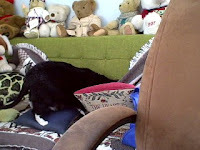 Visit Pet Pride with Bozo at Pets Forever to link up your pet post and to find some more. At From Tracy I read her post Why The New Facebook Pages Are Good For Bloggers and finally found out how to change those pictures that are at the top of my profile. If there's one you don't want up there, just click the little "x" in the top right corner. I never noticed it was there! In the "Best Friends" magazine, there was an article about the founder of Freekibble.com and guess what! The founder is a 14-year-old girl named Mimi. When she started the site, she was hoping to be able to feed 20 animals. About 53,000 people play daily. About 1,000 were playing daily just 3 months after she started it. She said "I think it became such a success because it's fun, easy and free and gives people a chance to help homeless animals, especially if they don't have time or money." We play every day, do you? I have the link in my left sidebar so you could easily play when you visit my blog! This is a breed I never heard of before and found out that it is a very tall dog, golden brown, long fur with what looks like sort of a beard when I saw a picture of Hickory at Scottish Deerhound Wins Westminster Best In Show. It is possible to bowl well two-handed like little kids do. Check out my Alternate Bowling Style Lesson post from yesterday if you missed it. I found Jeff Probst's blog about Survivor this week! He also has a Twitter page where he gives tidbits about the show. I found out about this through Jeff Probst Reveals Secrets About 'Survivor: Redemption Island' over at examiner.com. Find some more Friday Fragments. Sometimes bowling can be quite frustrating. I learned to use the 5-step approach and aim at a spot on the lane such as one of the arrows to give me a closer target. Bend your knee to get down low, keep your shoulders parallel to the foul line, keep your wrist straight, follow-through, etc. Yes, lots to remember. The goal is to do it right often enough that it becomes natural and you don't have to think about it. Yesterday I read Two-Handed Bowler Wows Way To Title With Weird Technique on Yahoo news about a high schooler, Tim Wolchko, who uses a two-handed technique only using the finger holes with great success. He has bowled 8 perfect games! I have bowled zero perfect games. I am amazed that he can throw it like this with such good control and with such great results! Next time I bowl and get frustrated when my tried and true method is not working, I may just try it this way even though this is how little kids sometimes bowl. Lesson learned: Bowling doesn't have to be complicated as long as you can be consistent! This is in response to Mama Kat's Writer's Workshop prompt, "Lesson Learned." Normally Sunday is a nice day of rest. After church we read, walk the dog, read blogs, maybe write some posts to schedule for the week. Sometimes we’ll watch a little TV. Last Sunday I had planned to have my Sunday School class over for a little party but when only two were coming and one of them had to leave an hour early, I decided it would be best to reschedule. 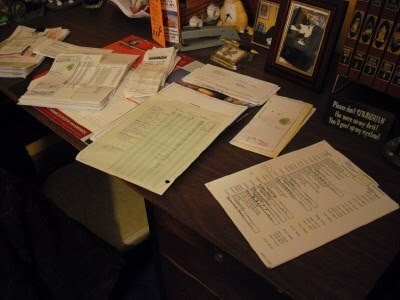 My desk getting tax stuff sorted. That blue tax organizer that I need to complete for our accountant had been sitting on my desk for about three weeks now so I thought this would be a good time to dive in and start on it since I had a few hours free that I hadn’t planned on. Gerard went to the gym and I worked on our taxes for two and a half hours, and still wasn’t done but decided that was enough for one day. Then we watched a TV show and read for a bit. It felt nice to have some down time together. After supper, I went on the computer and around 8 p.m. our power went off. 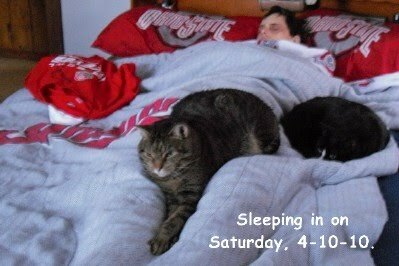 Apparently the ice storm knocked down some wires so with no power, we just went to bed (yes, at 8 o’clock). I couldn’t sleep though, not because it was so early, but because our dog, Abby Dabby Doo was acting very strange. She came up on the bed with us but would not settle down. First she laid between us with her head by mine. Naturally I pet her. Then a little while later, she climbed on top of me! This is almost a 40 lb. dog—not a little thing. Spunky was laying nicely on the edge of the bed next to me. Abby just kept moving around and would not settle down and I kept petting her. 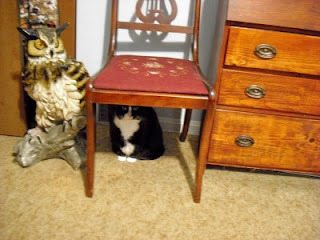 Spunky finally had enough and left to find a quieter place to sleep. Abby’s never acted like this before and I was beginning to wonder if I was dying or something. I’ve read that dog’s know when someone is dying. It was very strange. I am glad to report that I am still alive so it wasn’t that. I really think she sensed something was wrong though and didn’t know what to do. 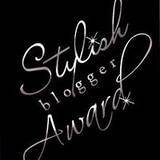 Thanks to Reading, Reading and Life for this Stylish Blogger Award. 2. Pass the award to 15 or 3 other blogs that you've newly discovered. 1. We like summer much better than winter. 2. We do not enjoy traveling. We’d like to visit different places if we could just concentrate very hard on where we want to go, clap our hands and boom, we’re there! 3. Some places we would love to visit some day would be Boston, Red Pine Mountain in Vermont, Best Friends Animal Society, Chile to visit the boy we sponsor through Children International and our blogger buddies. 4. Neither of us really like to dress up. 5. We have 7 closets and use them all for just the two of us and we each have two dressers! 6. Karen’s favorite smell is freshly cut grass. Does anyone know of a perfume that smells like that? 7. We use an accountant to file our income taxes for us and still spent over 4 hours getting the tax organizer ready for him. It’s such a hassle getting all the information together! We certainly would not want to be tax preparers! A well-written and designed blog with interesting content. Lots of exercises and fitness tips. 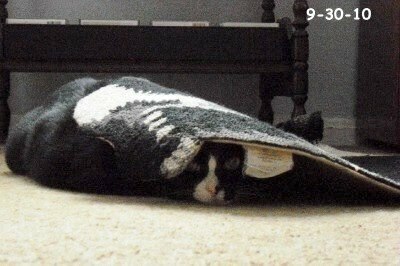 Of course, the animal lover that I am, I had to choose one of the new animal blogs that I found and this is it. 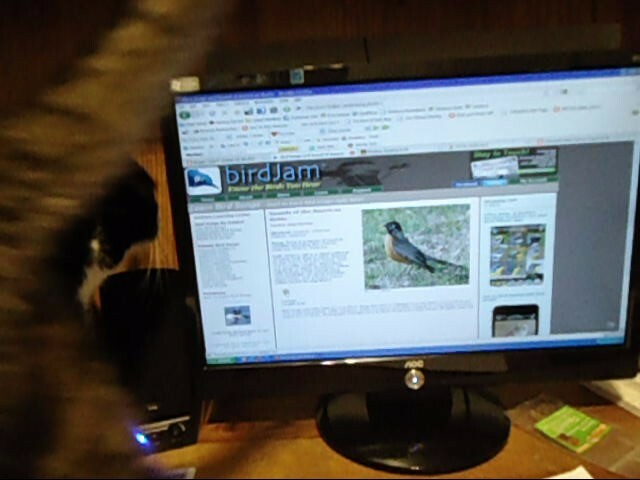 We just found this new website that plays bird noises called www.birdjam.com and had to try it out. It's like Bird Talk Radio for cats. When I first turned it on, Spunky was in the other room but came running and jumped up by the computer when she hear the bird sounds. Manny was curious too, but not as quick as Spunky. Both of them pace back and forth in front of the monitor looking for the birds. Hope you enjoy the video--it's very short. Go play some bird sounds for your cats! When I tried this again the next day, Spunky had wised up and stayed in her sunspot. Manny, however, still came back up to look around. It's President's Day and we found a great post this morning over at MaryTheKayTheBlog: Honoring our Greatest Presidents. You really should check it out and have a happy President's Day everyone! 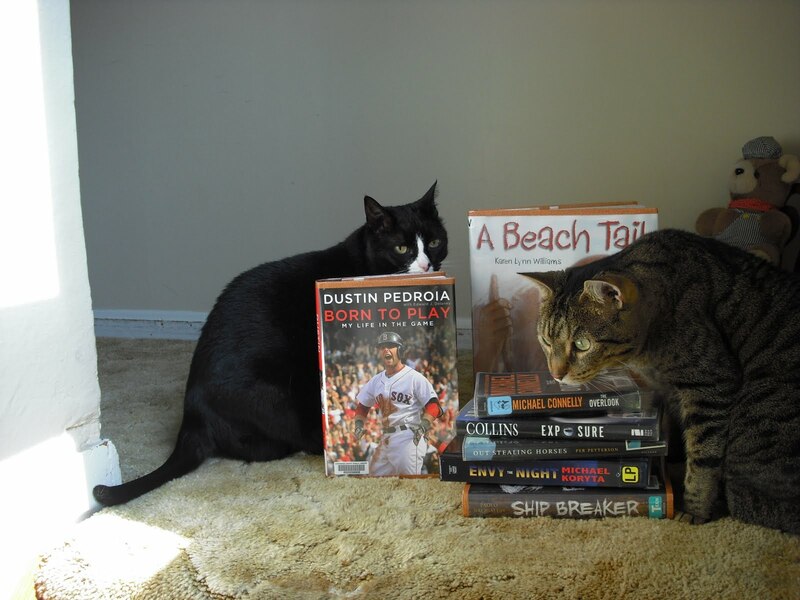 Check out Pet Pride for more pet posts or link up your own. To find best posts of the week (or submit one you like), stop by Saturday Sampling. When reading Left Neglected I also learned something about snowboarding that I didn't know! In the book, Sarah, the one with Left Neglect used to ski but she didn't feel like she could so learned snowboarding. To turn left on a snowboard, you lean forward up on your toes and to turn right, you lean pretend to sit down back on your heels. According to our poll at Grab A Book From Our Stack, most people prefer book reviews that are short and to the point and that focus more on the reader's thoughts about the book rather than a summary of the book. I will try to keep this in mind and try to modify mine but Gerard already does his this way. Birdjam is a wonderful site to hear bird noises. You can actually choose the type bird you want to hear. A sure way to get your cats to come! I found out about this from Freaky Frugalite's post How To Drive Your Cat Crazy--Bird Radio. I was really looking forward to seeing Survivor: Redemption Island this week and assumed that my DVR would tape it since I had it set to tape "Survivor" last season. Oops--should NOT have assumed. Apparently, it goes by strictly by the title of the show and this season it's called "Survivor Redemption Island." (click the link to go see the episode) Fortunately, I was able to watch it on my computer. I have reset my DVR though. I finally found free clip art where all I do is right click, save as and boom. I can use it! Quick easy searching for what I want there too. I got this snowboard one above in just two minutes! That's more like it! I found it at www.alfy.com. I watched Jeopardy this week to see Watson, the computer designed by IBM play against past Jeopardy champions--the best! It was amazing to see the computer crush them. It was like a robot. I found it fascinating that Watson could actually "think." There was more involved than just searching a database--it had to understand the answer to get the right question and it didn't take long at all! Watson was QUICK! “20/20” is a show that tells news stories in a great way. We watched the story of a missing family in Oregon who were lost in a snowstorm on their road trip. It was amazing that the mother and two little girls survived in below zero weather for nine days staying in their car! The father couldn’t wait any longer and went for help but died of hyperthermia. They missed their exit and then chose a road that looked like it would lead them to their destination on the map; however, they missed the sign because of the blizzard and wound up on an unused mountain road that should have been blocked off but wasn’t. The husband's father finally found the car from his private plane when he went looking for him and contacted the search and rescue people. Another good show is "48 Hour Mystery" that tells about a real mystery. Last week's was in two parts. It was a murder mystery that involved a wealthy ex-wife, her ex-husband and her body guard who became her boyfriend. The ex-husband stalked his ex-wife and wanted their wedding pictures but then the body guard decided to kill him. The body guard claimed that the ex-husband threatened him and his kids, but the investigators didn’t buy that. The wife was suspected of hiring the body guard to kill her ex-husband but denied it. The kids couldn’t believe their dad was guilty. There is so much junk on TV and just totally stupid shows that it’s really refreshing to find something that has some substance to it. This is it! I love getting the news this way. ("60 Minutes" is good too!) Have you seen this yet? What shows do you like to watch? Not only is there the risk of the ice breaking and you falling in the icy water, but just recently some ice fisherman on Lake Erie couldn’t find their way back to shore when a snow storm came up unexpectedly. I can see fishing in the summer because it’s just nice relaxing on a nice sunny day and enjoying the outdoors, but what does ice fishing have to offer? Sitting there trying not to freeze? Numbness in your toes? Giving the Coast Guard something to do when they have to come and rescue you? Maybe it’s just the rush of doing something stupid and adventurous? If you like to go ice fishing, I’d sure love to hear why! Yes, candy from my cats, lunch at Golden Corral and a t-shirt from Dog Town from my dog, Abby. Usually, yes to save time in the morning. Sauerkraut, YUCK! My mom was the only one in our family who liked it so only made it once a year for New Year's. I couldn't even stand the smell! Go meet some other Bloggers Over 40. First off, the Kong is for treats or good food. Just peanut butter in it does not interest me all that much. I bat it around with my paws and the food falls out. Sometimes I will hold it steady with my paw and pull the treats out with my tongue. Sometimes if they get stuck, I will throw the Kong up in the air and it usually loosens them up. For this video, Karen just used my normal weight management food to slow me down at eating my breakfast. Normally, she will give me my Kong right before she leaves for work. This started because when I first came to live with Karen and Gerard, I used to bark like crazy whenever they left the house. Giving me the Kong distracted me and gave me something to do that I liked. I no longer bark when they leave because I know they will return at some point. 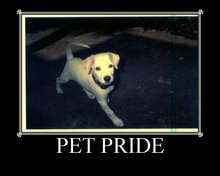 Find other Pet Pride posts over at Pets Forever with Bozo. Over at About.com I watched a short video that gives 5 Tips For using Aluminum Foil (besides just wrapping leftovers). (1) Unclumping brown sugar; (2) Ball it up and throw it the dryer to keep the static from your clothes; (3) to iron clothes; (4) sharpen scissors just by cutting it; (5) make a grilled cheese sandwich by using an iron! The Cleveland Cavaliers broke the NBA record for longest losing streak--with 25 and now have 26 losses in a row! Stuffing newspaper inside wet shoes helps them dry faster. My Owl is next to the chair that Spunky is under. I would like to be an owl--wise and cute! Sometimes at the zoo a volunteer will bring out a barn owl and I love being able to get up close to it. One of the first things I bought for my own place when I moved from my parents house was a large ceramic owl. I still love the piece and never once regretted spending the $100 on it. When I was a kid, my favorite birds were penguins and used to imitate how they walked all dressed up in tuxedos. I guess I should be glad I didn't get a cuckoo bird when I took this little quiz. I got a crow! I don't know much about crows except they have black feathers and there used to be a cartoon with a couple crows but I can't remember their names. This is my most Popular Post of 2011 for this blog with 21 comments and 111 views. Join in with the Best of 2011 Blog Hop over at A Pause on the Path. You're not always right...no you're not...no you're not...no you're not....tell us about a time you were wrong. 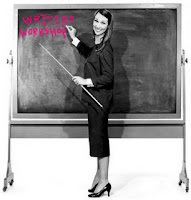 This is Mama Kat's Writer's Workshop prompt that inspired this post. When my husband decided to clean our kitchen trash container, I laughed. It just struck me funny that he would do that but not change the filter on a vacuum cleaner or wash the litter boxes. He seemed to think it was a perfectly normal and sensible thing to do that everyone does. I on the other hand, I am doubtful that most people do this, not that I minded. I actually think it’s wonderful that he does the cleaning at our house and am happy that I do not have to. So, we are taking a survey by our readers to see if Gerard is right (that most people do wash their trash containers) or if Karen is right (most people do not wash their trash containers). Please let us know if you do or don’t in the comments. We're curious! Well, according to the comments we received, I am shocked that I was wrong about this and Gerard was actually right! Most people do wash their garbage cans. I stand corrected (however, I think if we had a bigger response, it would prove me right. Maybe some people just don't want to admit they don't do it)! All the above? If you answer all the above, you are right! For more posts about pets, check out Pet Pride. We received a total of 281 comments on our three blogs in January! That was way more than I expected but will stay true to my word and donate $281 to The Last Hope Cat Kingdom. Our charity for February is The National Children's Cancer Society but are revising the amount to 50 cents per comment. I found out soccer is harder than I thought when I spent 15 minutes to learn a few basics at our Childrens Workers Breakfast at church. This video shows me demonstrating how to pass in soccer with the assistance of my cats--enjoy! Somehow, the owners of PNN found a way to keep it going after all. It's mostly a community for women to discuss topics. It's very easy to use and does have a nice way of featuring new posts. You may want to take a look into it at www.pnn.com. Connie Bowen paints custom pet portraits. 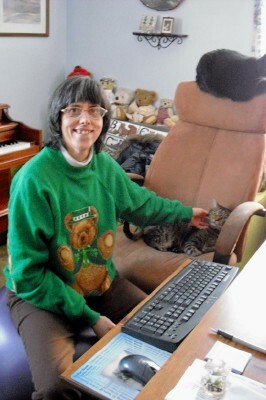 I discovered her website this week through in interview at The Conscious Cat. I think this would be SO much fun! 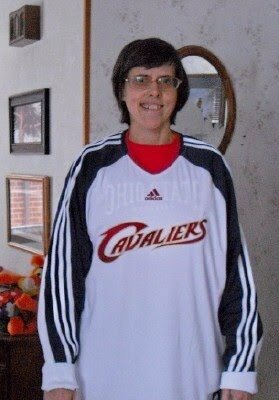 The sad news is that I just learned this week that Sheri, one of my friends, has breast cancer (stage 2) that has spread to her lymph nodes. She will have chemo for four months, then surgery and then radiation. I was very sad to hear about this but trust God will bring her through it. I was so fortunate that I didn't need chemo and really had no pain. You are in my prayers--it's a long journey but doable. Hang in there! The good news is that the groundhog did not see his shadow yesterday so we should have an early spring--hurray! I am not planning to switch, but thought others may be interested to know that there is a way to switch from Blogger to Wordpress Without Losing Valuable SEO and Links outlined at Tentblogger. Who knows, maybe some day I will want to do this. Today at Freekibble they are giving away 3 signed copies of Garth Stein's best-selling fiction book, The Art Of Racing In The Rain about a dog, Enzo, and his owner, a race car driver. Both Gerard and I read this one and liked it very much! If you would like to get a free copy of "My Funny Dad, Harry" (the book I wrote), stop by at Red Pine Mountain and leave a comment on my guest post to enter her Feb. 5 giveaway! I never heard this term before I read Breaking Night: A Memoir Of Forgiveness, Survival, and My Journey From Homeless To Harvard by Liz Murray. It means staying up all night. I also learned that the safest place for a homeless person to sleep is on a top landing in a stairwell if they don't have friends they can stay with. This is an amazing true story that I just read. I saw the movie years ago. Click on the link to see our reviews of it. Please come back Mr. Sun! I am so happy to see January go and the days get longer. I can tell they are because in the morning I can see without putting on a light now. At least it's not pitch dark anymore and it's not as dark when I get off the bus. We had a long stretch of gloomy days though with no sun and no blue sky. I noticed that there weren't even any clouds, just plain gray. It makes me want to sleep! 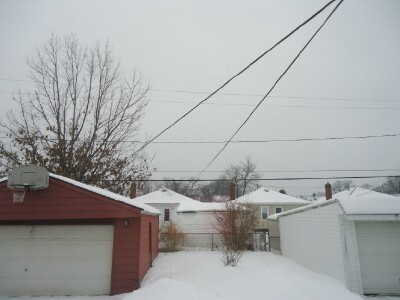 See how blah the sky looks in this picture? No matter what direction I looked in, that's how it was. I really miss the sunshine! It is no wonder I have a Vitamin D deficiency! Hopefully we'll soon have blue sky again! This post was inspired not only by the gloomy gray sky but was also one of Mama Kat's Writer's Workshop prompts awhile back. I was a bit annoyed last month; however, with some anonymous spam comments, some of which included questions not at all related to my post. Not only that, but there was no way to contact them with an answer even if I wanted to because they were anonymous. Duh! 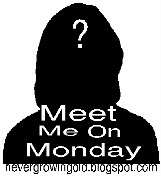 Please do not ask me questions anonymously! I feel that if you don't want to put your name (or screen name at least) on your comments, then you shouldn't leave them. Anonymous comments are not included in our comment total unless it is related to the post in some way to make it a legitimate comment. Visit Saturday Samplings for great posts of the week! 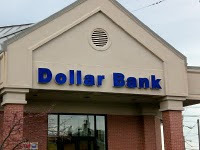 Just when I give a big shout out to Dollar Bank for their $1,000 giveaway, I received a statement for my extra checking account which said it has been inactive for a year so they are charging me a $10 fee which brought the balance to zero. It would have been nice if they could send a little warning like an email to let me know. I use this checking account for my PayPal funding. I do not want to put my main checking or savings account numbers on there so I opened a special checking account to use specifically just for that and keep a very small amount in it. I didn't realize I hadn't put any money in or taken any out all year. The last time I transferred money to my PayPal account was December of 2009. Oops. I forgot I have to do something with it to avoid this fee. We both read a lot of good books in January, but if we had to choose, our favorites, it would be Half A Life (non-fiction) and Perfect Chemistry (YA romance). Can you guess whose is which? I bet you can! A Must Read! Half A Life is a memoir of Darin Strauss, who at age 18 while driving, had a car accident that killed a girl. This book is good; read it in two days. It was hard to put down because I never read anything like it before. It is all about how Darin handled what happened. I kept thinking about what if I did this? Half A Life is an outstanding and a memorable read. I highly recommend it! What a fun read “Perfect Chemistry” by Simone Elkeles is! I enjoyed reading Perfect Chemistry very much because it was such a cute high school romance story about the “perfect” pom-pom girl, Brittany Ellis, and the Latino Blood gang member, Alex, who had the reputation for being the most dangerous guy in school. The Fairfield high school is cross cultural with the uppity rich kids from the North and the poor drug-dealing gang members from the south. The Chemistry teacher and principal are determined to get the kids to learn from each other.